Huawei Honor 8 Pro is the latest flagship model from Honor, So today here in this guide we are discussing how to root Honor 8 Pro and install TWRP custom recovery in an easy way. To Root any Android phone first you need to unlock the bootloader of the phone. After that you can make a change in the system of the phone, Like install TWRP on Honor 8 Pro and flash the Supersu zip file to root the Honor 8 Pro. This guide is divided into two parts. First one to install the Custom TWRP recovery on Honor 8 Pro and the Second is Step by Step Guide to Root Honor 8 Pro. This guide is only for the Honor 8 Pro users and don’t follow the below mention step on any other mobile phone. Once the phone is rooted you can install custom ROM and kernel on your phone, remove unwanted system apps, flash zip files, take nandroid backup, improve battery life and run the rooted apps. In a simple way, we can say that rooting has lots of benefits but this will void the warranty of your phone. But you can easily unroot the phone and you can recover the warranty of your phone. Check out some of the benefits to root honor 8 pro here. Unlock Bootloader of Your Honor 8 pro First. Ensure that your phone has at least 60% battery remaining. Enable USB Debugging: On your phone go to Settings > About phone > Tap on Build number seven times. This will enable Developer options. Now go back to Settings > Developer Options > Enable USB debugging. Enable OEM Unlocking: Go to Settings > Developer options. Then enable the ‘OEM Unlocking‘ option. Download SuperSu to root Honor 8 Pro and copy it to your phone sd card. So now everything is ready ADB drivers are installed, Downloaded the TWRP and Super Zip file. So let’s get started and root the Huawei Honor 8 Pro with TWRP recovery. 1. First, you need to unlock the bootloader of your phone. See this guide to unlock the bootloader on your Honor 8 pro. If you already did that then go to step 2. 2. Now open the ADB folder in which you saved the recovery image. 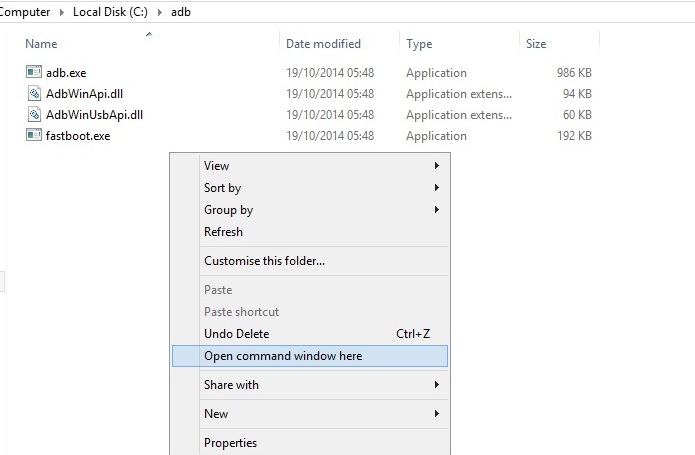 And open the command window thereby pressing and hold the ‘shift’ key and right-click anywhere in that folder. 3. 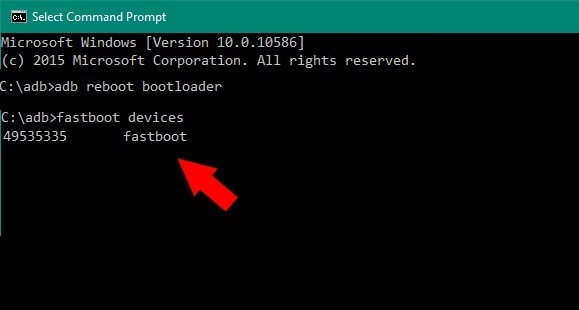 Now connect your phone to the PC with the USB cable and run the following command to boot your phone into fastboot mode. OR by pressing and hold Volume Down + power keys. 4. 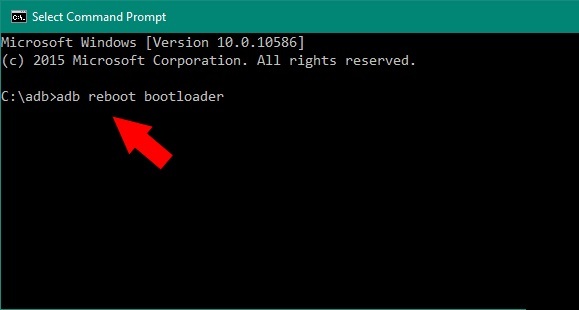 Now your phone will boot in fastboot mode. To check your phone is successfully connected or not enter this command. It will show your device serial number means your device properly connected. If not then reinstall the drivers and reboot your PC. 5. Now you are ready to install TWRP recovery on your Honor 8 pro. Enter the following command to flash TWRP on your phone. Now with this command, you successfully installed the TWRP custom recovery on your phone. 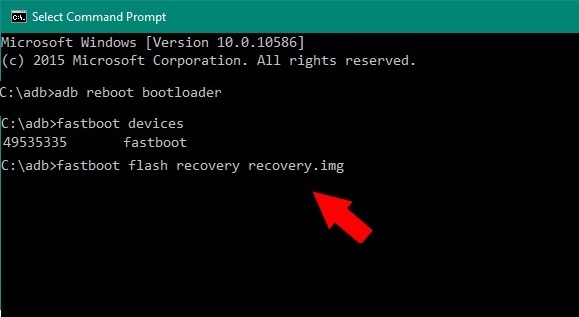 Disconnect your phone from the PC and boot your phone into recovery mode. To do this press and hold the Volume Up + Power Key Now it’s time to flash SuperSu zip file and root the Honor 8 Pro. 1. Now your phone is TWRP mode and SuperSu zip file is in your phone internal Memory. 2. From the home screen of TWRP recovery tap on the Install button and locate the SuperSu zip file that you saved in your phone and Swipe to Flash to Root Honor 8 Pro. 3. Now the flashing process will start on your android, Once completed reboot the system. 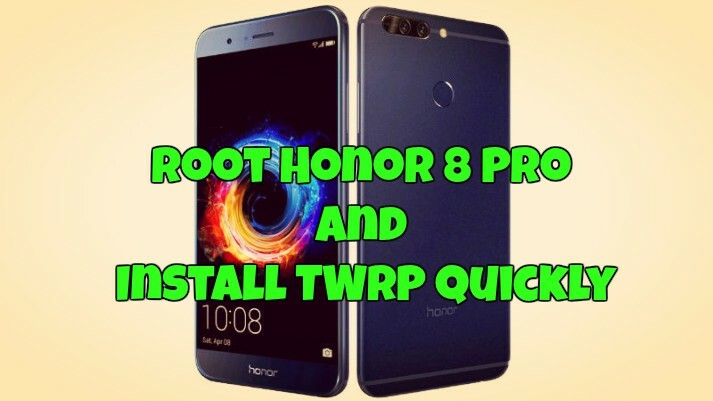 So this the simple and quick way to install TWRP on your phone and root the Honor 8 Pro. If you have any questions, then comment below.